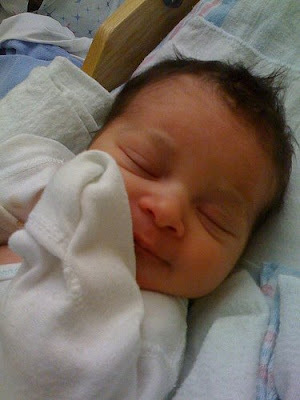 Last week, Jason Morrison (a Google employee) and his wife Ann had their first child, the beautiful baby girl pictured above. The baby's name is Athena Marie Morrison. What's cool, fascinating, and crazy (all at the same time) about Athena's name is that Jason and Ann asked family, friends, co-workers and even random strangers across the Internet to help them name their baby. In early September, Jason posted a simple request on his personal blog "Hey Internet, Help Us Name Our Child!" Then over the next few months, over 10,000 people all over the world voted in the baby name poll. Jason was even interviewed on Australian TV about this naming experiment. We followed the developments intently because Jason used a Google Docs spreadsheet form to collect the votes, analyze the data, and display the results on his blog as the votes came in. Congratulations, Jason and Ann. And welcome to the world, Athena!